Technology nowadays never ceases to surprise us with how a simple thing that we have taken for granted before could actually be the main source of a new invention that could answer one of the biggest problems in the world. Electricity does wonders to everyone but it is saddening that some countries did not have the chance to experience it. That's why a new invention created by four African girls are gaining global acclaim. 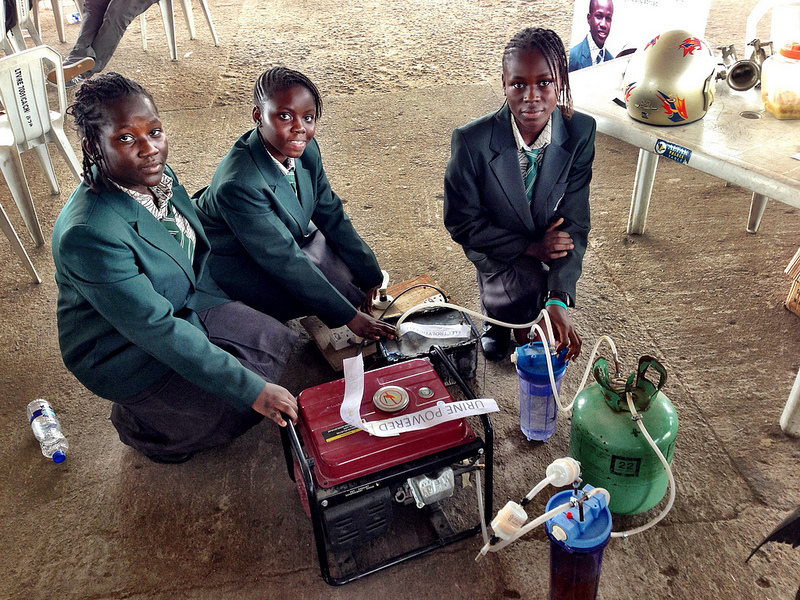 The four girls namely Duro-Aina Adebola, Akindele Abiola, and Faleke Oluwatoyin, and Bello Eniola have created a generator that is able to produce electricity for six hours using a single liter of urine as fuel. Yes, It's from urine. The girls surprised everyone when their idea totally worked and is now being considered to be a great help to their community. This invention is a testament that even young minds can produce answers to the global problems of our world.